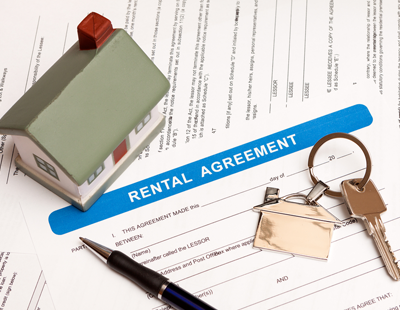 Another think-tank has come up with reforms which it wants the government to make to the private rental sector - and its chief objective is to introduce four year standard tenancy durations. How about reforming Parliament it's obviously not fit for purpose none of them got a clue about anything. What about 40 year tenancies? Or free rent tenancies? Or tenancy agreements written on gold leaf by law? After the abolition of Sec 21 and 4 year tenancies - there will be a proposal that Landlords have to rent out their property Free of charge. Actually think that many of the proposals in here are quite fair and well laid out and quite balanced too. My two main concerns would be 'tenants would be allowed greater flexibility in making cosmetic improvements' as this would have to be very tightly framed & legislated to create a clear framework of what is permitted and the terms (e.g. tenants can paint but landlord has to approve colour & landlord can charge for a professional to put right if a bad job is done) and I also think landlords should have a choice for the break to be anything from 6-12 months. Nah not fair at all. Just give LL the right to evict after 14 days of rent default with police assistance if required. Retain same AST terms etc. Very rarely will a LL choose to evict ASB tenants and as most of them would rent default they could be booted out 14 days after first rent default if they DON'T pay arrears. 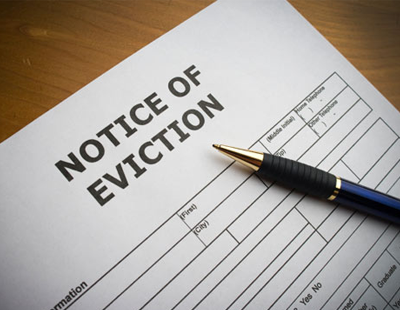 Just a few simple changes to the eviction process would solve most issues. Of course no Govt will do this as it would them that have to suffer the £9 billion a year losses that private LL incur. Any attempt to impose such conditions will just see the PRS shrink even further. The CSJ should address the eviction problem and payment of rents etc. Forgot to mention the simple fact that most mortgage lenders will only allow a maximum 1 year AST. Of course some lenders don't have this restriction; Nationwide being one of them I think, but lenders do have these restrictions.If the eviction laws were changed as I have suggested and lenders lifted restrictions I would have no problem with longer term tenancies. But for this I would obviously require tenant liability for the AST they sign. I know of no normal tenant that would wish to do this. The only ones who do are the DSS mob who I don't touch with a bargepole. If I insisted on 3 year tenancies I wouldn't have any tenants!!!!!!!! The case study at the end points out one glaring sign! “We now have to move out at the end of January, just six months after moving in. But there’s nothing available in this area that we can afford at the moment. Not saying this is right but obviously this was a substandard property at a substandard letting price. I personally do not take these sort of properties on as an agent because of these issues. Sometimes things do turn up that were not noticed at the time and are dealt with immediately. I believe that tenants should look for market rent in areas that they can afford AND agents should NOT take on substandard properties to let at reduced rental prices. With the new Habitation Regulations will LA become self -policing to not take on these dud properties as they DON'T want the hassle involved. So LA become by default quasi council regulators!? LA will be only too aware of the new regulations and are probably the best placed to instruct idiot LL what they need to do to make the property lettable. I do not agree with the CSJ, except that they recently stated - not reported here I see - tgat Section 24 tax attacks should be rescinded in exchange for longer tenancies. My tenancies last a long time anyway - 11 years plus in at least two cases - so I’m not scared of longer tenancies, but what’s all this ‘4 years then another 4 years’ nonsense? What if a house was only available for 5 or 6 years - are they saying the first 4 year tenancy is fine but you can’t then have 2 years afterwards? Must the house be left empty then?? And what about private negotiation - ‘I’ll give you a grand if you move out this month’ etc - will that be banned or maybe become more prevalent?? Longer tenancies MUST retain intelligent flexibility for the landlord, or you won’t get the house at all. Now you have had a bit of a bleat you should all look up the meaning of the words sitting tenant. It's food for thought and the reason we DO NOT want to create a sitting tenant situation or indeed a protected tenancy. I see this protected tenancy rearing it's ugly head again as it did many years ago. 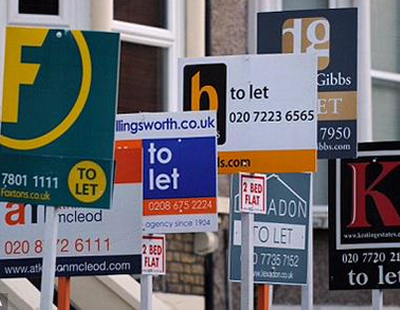 The demise of protected tenancies gave rise to the Private Rented Sector. We do not want to make a retrograde step now do we? Indeed if there is any possibility of sitting tenants remaining that would be the end of the PRS. The ONLY person with Any 'skin in the game' is the Private Landlord. LL will refuse to be dictated to. They would rather sell up or convert to other types of letting. Most LL who became such after 1997 only did so in the knowledge that they could quickly get rid of tenants if they wished. Everyone knew about the problems of sitting tenants which is why few were prepared to invest and only rich people could do this prior to the advent of the BTL mortgage. LL will not be dictated to as to how they will deploy and utilise their capital. Up with it they will NOT put!. It does seem that very few understand how the current PRS came about and what it is founded on. Eviction possibility within a reasonable period. Interfering with any of these will cause extreme detriment to the AST PRS as is occurring in Scotland. GR and their ilk seem to imagine that LL will stay being LL no matter how much they are kicked around. This is the case for me. I have no desire to remain an AST LL with the way I am being treated. I will be glad to see the back of tenants. Lodgers will be my new tax free income source. Many LL are progressively selling up. I DON'T see how this assists tenants.